The following table describes the ILOM properties that determine how POST performs its operations. Runs POST upon user initiated resets. Only runs POST for the first power on. This option is the default. Runs POST if fatal errors are detected. Runs POST after any reset. POST displays all test, informational, and some debugging messages. 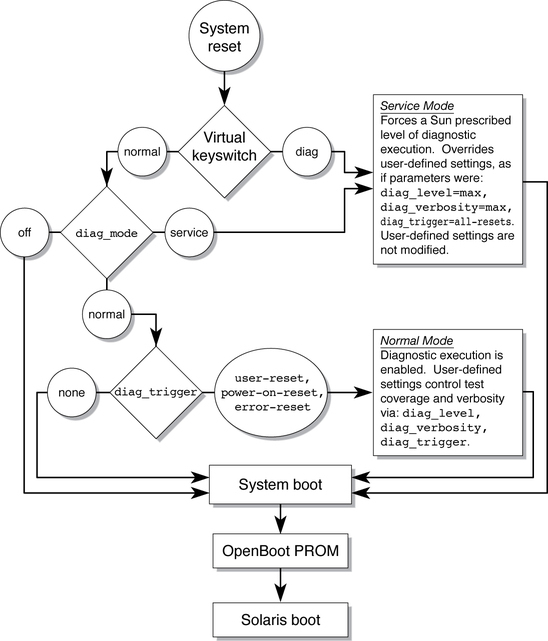 The following flowchart is a graphic illustration of the same set of ILOM set command variables.